Chichester's Professional Laundry and Dry Cleaning Service - What's New? We are so pleased to announce that we have been nominated for both of the laundry industry awards. The LCN (Laundry and Cleaning News Awards) and the LADAs (Laundry And Dry-cleaning Awards). Competition is stiff, we are up against other laundry businesses throughout the UK and it’s not just small high street ones but the big multi nationals too. 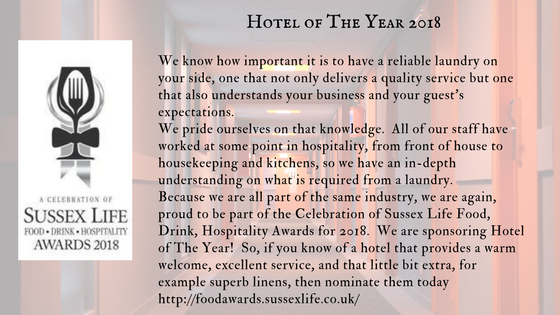 See, we told you we are serious about all things laundry and although our customers already think we are the best, we will know if the industry agrees when we get the results in September & November!